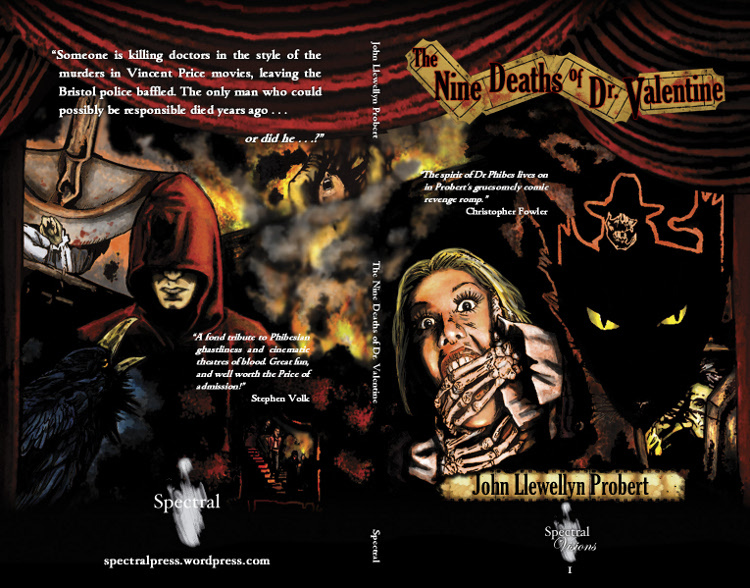 And so, just to brighten up your Monday morning, we present to you the front cover image of the next Spectral Visions novella, The Nine Deaths of Dr. Valentine by John L. Probert. 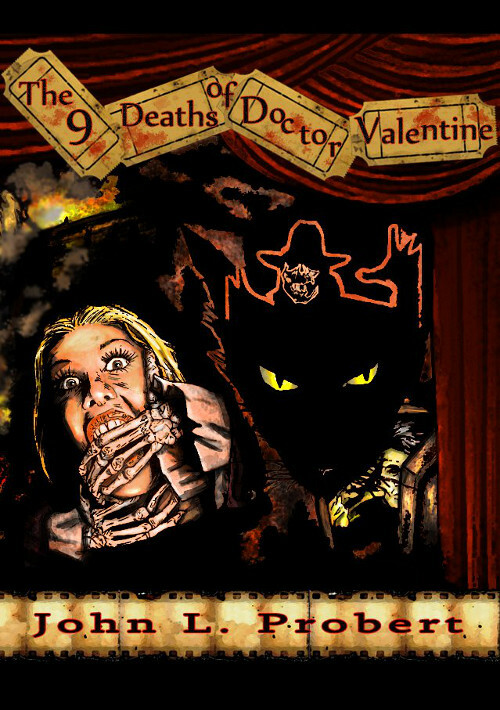 The image, executed by artist JD Busch, perfectly encapsulates the spirit of John’s story, as it’s an affectionately gruesome, blackly humorous and outrageous homage to the films of Vincent Price, in particular Theatre of Blood and The Abominable Dr. Phibes. The book is due out in September and will be launched at this year’s FantasyCon in Brighton. If you’re going to the convention and decide to come to the launch, there will be free wine and also a ‘performance’ reading from the book by John himself (believe me, his readings are definitely NOT to be missed) as well as a signing. About half of the limited hardback edition have been spoken for already, but if you’re interested in acquiring a copy then please contact us at spectralpress[AT]gmail[DOT]com to reserve one. Pre-orders will begin sometime this month.